In the time right before the N64 release, Sonic Team’s challenge was to figure out how to take the traditional 2D videogame experience, and bring it into a three-dimensional world. While Mario 64 created a whole new experience while keeping the spirit of the old Super Mario, NiGHTS struck a balance between the old and new, a game world that brings the benefits of both 2D and 3D games. 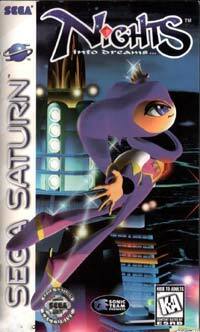 Besides all of the exciting arcade ports, NiGHTS into Dreams was one of the main reasons I wanted a Saturn. It was one of the most creative and fascinating games from the 32-bit/64-bit era, and arguably one of the best. What initially attracted me to the NiGHTS was the game’s beautiful environments and animation. However, the graphics not only made the game drool-inducing, but it also was perfectly balanced in order to keep the gameplay at its best. What makes NiGHTS play so brilliantly is that the character is always centered on the screen. This is a common convention in 2D, but it is easily lost in 3D. 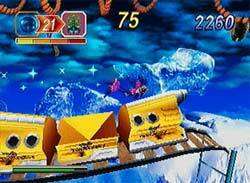 One of the worst things Sonic Team did in Sonic Adventure for the Dreamcast was to pan the camera away from Sonic as he jumped the loops. The viewer is taken out of the action, which kills the fun. One of the things that makes NiGHTS so unique is the surreal environments. Being in a dream world opened the designers to many creative possibilities and Sonic Team did not let us down. The dream worlds in the game were designed with an eye to actual dream psychology. It is possible to fly and splash through sparkling waterfalls, soar amidst the branches of gigantic trees, bobsled down icy slopes, and so much more. Later levels become actually mind bending. The attention to detail in every aspect of each world is incredible. The videos at the beginning of the game that set the stage for the store are well-produced and animated well, but the overall graininess of the videos isn’t something I can particularly brag about. To be honest, I have considered knocking down the graphics score to a 9, but the overall polish and presentation that Sonic Team demonstrated kept it at the top score. My main concern with the graphics is that some parts aged more than others (due to clipping, lack of transparency, and jaggies). The boss levels stick out in my memory as sections that would benefit most from a graphical upgrade on a modern system. As I mentioned in my piece, “Games That Actually NEED A Sequel“, NiGHTS is probably one of the most deserving games of either a sequel or a remake. 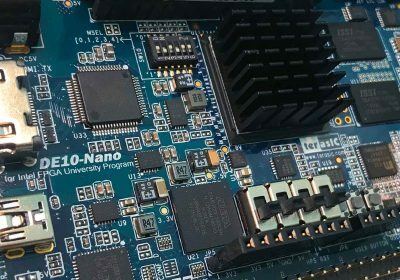 It is just so unique and the dream environment is just limitless with the possibilities that a next-gen system could bring. 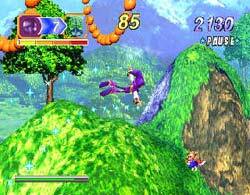 With the soilid rumor that NiGHTS is coming the the Nintendo Revolution, many Sega fans may be rejoicing. However, another part of me would be sad that the Saturn would lose such a unique “exclusive” game. Sonic Team also delivers a wonderful musical score that ranges from epic to the theatrical, but the music can also be laid-back and casual. The music not only compliments each level nicely, but it also greatly heightens the experience of flying. Another interesting aspect about the music is that it changes when you come back to a level you’ve already completed. If you are trying to get a higher grade on a certain level, you’ll find that the music has been remixed. This is a good attempt at giving the music as much variation as the levels and the gameplay. Sound effects are in the game are pretty good, as each character seems to have it’s own noises and they seem to fit the persona/action of what they do. NiGHTS Into Dreams has a unique and interesting premise, but its not a primary reason to play the game (like you would an RPG or Metal Gear game). However for the platform/action genre, it is one of the best you will find. You play as either a young girl or boy, named Clasis and Elliot respectively. As most children do, they have their own personal fears and often have nightmares related to their fears. One night, Elliot and Claris both suffer different, but unusually powerful nightmares. The nightmares are so intense, that both of them find themselves achieving lucidity. Lucid dreaming brings Elliot and Claris to the dream realm of Nightopia, a universe where our dreams are played out. In Nightopia, an evil being known as Wizeman is gaining tremendous power and is out to capture the precious dream energy of humans. If allowed to continue, he will rise from the subconscious and enter our world, where no one could stop him. Wizeman will attempt to steal Elliot and Claris’ dream energy and try to confuse them by placing them in unusual dream worlds, creteated with emotions from the depths of their mind. With the help of NiGHTS, the two children must collect the dream energy and thwart the plans of Wizeman to restore peace to Nightopia. NiGHTS is a created being, originally brought into existence to act as a high level ‘Nightmaren’ the purpose of which was to banish human souls from the dream realm of Nightopia. NiGHTS had achieved self awareness and rebelled from this directive, and so had been imprisoned. Claris and Elliot, unbeknownst to each other, seek and individually merge with NiGHTS to escape the temple and collect ‘Ideya’. When a full set of ‘Ideya’ are gathered, NIGHTS is empowered to ascend to the realm of the Nightmarens, enter their neon pocket universes, and attempt to defeat them. In each dream, you need to recover the dream energy that was stolen from you. You start out by being able to freely walk around in the 3D dream would, but after you make your way to the Ideya Palace found in the centre, you merge with NiGHTS and the game takes on its flying on rails form. To recover your dream energy, you must collect 20 blue chips, found on each course, and use them to overload the Ideya Capture, releasing the dream energy back to the palace. 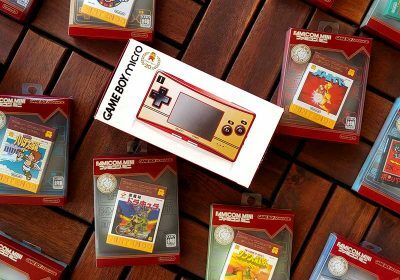 The flying and collecting aspect can be likened to an airborne version of the old school Sonic the Hedgehog games. And instead of just collecting rings for points, you need to collect all the chips to advance. 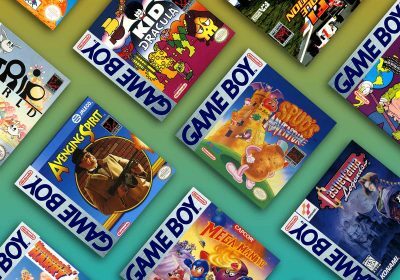 The initial sensation of playing NiGHTS is just like the first time you played Sonic on the Genesis — it’s a fresh and exciting experience. The flying isn’t initially intuitive, but it quickly becomes second nature. NiGHTS flying system is on a rails as opposed to a full 3D environment, but it is still a very satisfying experience. If flying was 3D, it would be way too complicated. The flying also offers a mix of improvisation and racing, so you get more than a normal platforming experience. For each course there is a specific time limit in which you must free the dream energy and return to the palace. However, the quicker you release the dream energy, the more points you get and the longer you’ll have to fly around the course to rack up as many extra points as possible. NiGHTS also features ones of the slickest bonus scoring system ever. By flying through rings successively and collecting items quickly a “link” count appears. If you can keep picking up items or going through rings about once per second, the link will continue to grow. Veteran players can create links that go in the hundreds, resulting in absolutely massive scores. Aside from links, there is also a special yellow and blue ring in some courses, which creates a yellow ribbon trail behind NiGHTS. While the ribbon’s around, NiGHTS is rewarded for performing various acrobatic tricks. To really excel, you need to fit all of the above techniques into your gameplay, and here lies the genius of NiGHTS. This process is highly rewarding to the dedicated player, giving the game a depth that is lacking in many normal platformers. Once you complete all objectives in the level, you fight a boss. Each boss requires a different strategy to defeat him. They aren’t difficult to beat, but dispatching them quickly is the challenge. An interesting thing about walking around as either Claris or Elliot, is that an alarm clock is constantly chasing you, and if you’re caught, the game is over (because you woke up). You can hit the “snooze” button by jumping on the clock and it will leave you a lone for a little while. It’s just a cute and imaginative way to not only add an aspect to the gameplay, but add more depth and polish to this dreamland atmosphere. NiGHTS is also a masterpiece of subtlety. At first glance, you see a game that feels more 2D than 3D. But over time, and repeated playing, the many layers emerge. The children, for instance, can avoid the gazebo and wander around, discovering many surprises. There are surprise pathways; surprise bonuses hidden on the air tracks. These surprises may seem minor, but they enhance the enchanted feel of the dream world. One of the most interesting surprises are the Nightopians. They were basically the foundation for Sonic Team’s later work with the Chao of Sonic Adventure. These little creatures must be nurtured by opened their eggs and performing tricks for them, as well as visiting them as Elliot or Claris. Each dream has its own Nightopian population which affects the music that plays for that dream. One final surprise is a two player VS. mode that can be unlocked. I’m not sure why they didn’t just include it as a standard feature and have one more thing to advertise. But Sega hasn’t always been the best at marketing. With the analog 3D Controller, the controls on NiGHTS are perfect. Movement around the level, spins, turns, tricks, and loops are easily executed with the help of the 3D Pad. If you somehow seem to get this game and are forced to use a normal controller, the controls are still good, although you’ll find yourself not being able to progress as fast and pull off the loops and tricks as easily. NiGHTS was quite common among Saturn gamers, so its very easy to find an original copy for just a few dollars. It may reach over $10 if you want a complete copy with a 3D Controller included. NiGHTS is simply a masterpiece that follows in old-school Sonic Team tradition. Playing it is such a refreshing experience, a mere glance at the game hardly does it any justice at all. It must be played to be enjoyed. The the immersion of the game world is so compelling that the desire to return rarely fades. 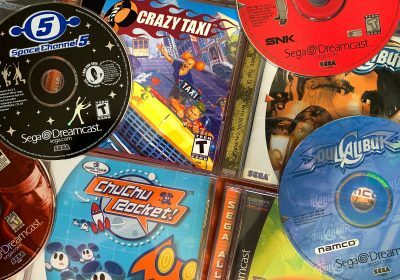 Rez and Jet Grind Radio (both on the Dreamcast) are some of the only other games that have that quality in such abundant levels. 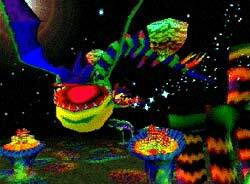 NiGHTs was the Saturn’s defining game. Sporting an incredible mix of 3D polygons, 2D sprites and a high color count, the graphics live up to the hype. Mixed with a brilliantly composed soundtrack, innovative gameplay and even a new controller to make the control that much better, this game is something that every Saturn owner should have. NiGHTS was one of the best Saturn games out there. It’s too bad that Sega dropped the franchise, but as you said they carried on elements of the game like Nightopians being integrated in Sonic Adventure as Chaos. Astro Boy’s free flight system around Metro City reminded me of NiGHTS too. I like to show this game off along with the proto-dreamcast saturn analog controller when people come over. It always blows them away. Although its true that Nights is a game that is SCREAMING for a next-gen sequel, in fact it did have a mini-sequel of sorts: Christmas Nights, a themed disc that (if memory serves) came package with a copy of some Japanese gaming magazine. It features much more lush graphics than the original Nights and had a host of unlockable features that gave the game much more replay value. Great review of a great game. I loved this game so much and remeber buying it at a bargain price with the 3D control pad. Its a shame the saturn was over shadowed by the playstation because if it was not than this would have been played by millions of people and would have been remembered even more. almost forgot about this one! my brother just got a saturn again, i think i need to hunt me down a copy. i cant believe i forgot about this, one of the greatest games of all time. played it for a crazy amount of hours until i got A+ rating on every level which i never usually do in games, just complete the normal game and play something else. just proves what a true gem this is. 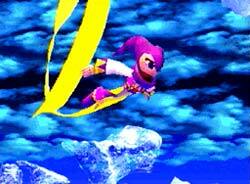 Nights Into Dreams is probably one of my all-time favorite games! I have both the standard and the Christmas version and they are excellent. I would never even consider owning a Saturn without this game! 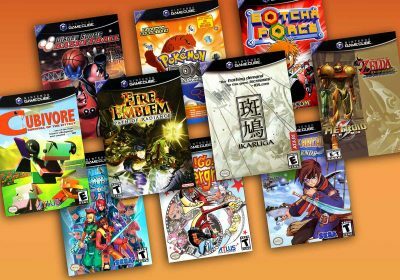 It is a MUST for anyone wishing to collect Saturn again (along with Radiant Silvergun)….. Thanks for bringing this gem of gaming history to our attention again! It’s good to see that people still dig and remember Nights. 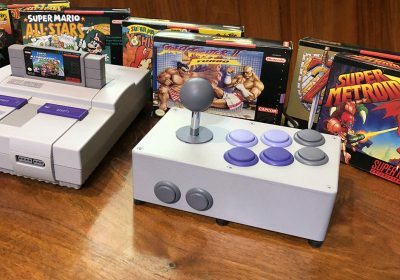 I actually had to choose between a Saturn & a Playstation back in the day. At first I was regrettin’ not getting the Playstation, but that all changed when playing Nights and other exclusive titles. It’s crazy because having a Saturn made me feel like being in a cult following after it bombed. Good game, I still have my Saturn. I don’t regret getting it over a PlayStation. It was a good system while it lasted. I heard NiGHTS will be coming to the Nintendo Wii soon. Just played this game for the first time, and it became one of my top 3 games ever. Amazing enviroment, great music (there’s like 4 tracks for each level, I’d never get bored of this fantastic soundtrack), perfect gameplay and a lot of heart from the Sonic Team.